Why Are Invasives So Bad? 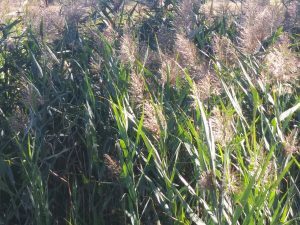 Phragmites creates stands so dense that wildlife cannot move though it. For the past year, I have been fielding questions about conservation, biology and invasive species on the forum Quora. It gives me a chance to hear the questions and concerns that people have and give back to the community. Questions I think Conservation Digest readers might be interested in have found their way into the FAQ section of this website. This question appeared last week. Below is my response. After reading it, I hope you see what motivated me to create the website and write this blog. 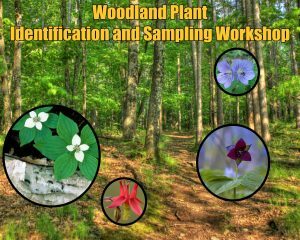 Invasive garlic mustard, honeysuckle and buckthorn have all but wiped out spring wildflowers from the woodlands of southern Wisconsin. Japanese knotweed crowds out everything along stream banks where it becomes established. Wild parsnip causes serious chemical burns when the sap gets onto the skin. Cattails take over wetlands reducing open water for waterfowl and displacing the native sedge, reeds and wetland wildflowers. Phragmites (common reed) creates such dense stands that waterfowl cannot use the wetland. Those four sentences capture a small portion of the problems caused by invasive plants that plague natural areas in Wisconsin. They only begin to scratch the surface of the issues created by invasive species. Check out our new webpage About Invasive Species to learn more about the problem and how to prevent new invaders from getting a foothold in Wisconsin. It can be really confusing when people talk about invasive species. What exactly are they and why should I care? 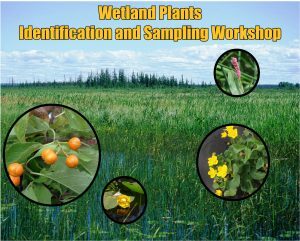 These questions are especially important for landowners because invasive plants, and to a lesser extent invasive animals, can cause real and lasting damage. Because many of them have been around for years, a property owner may not even know they these unwanted guests or why they pose a problem. 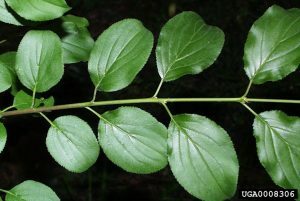 Common buckthorn branch. Photo credit: University of Georgia. Staying with plants for a moment, think about how many millions of dollars farmers and ranchers spend every year controlling weeds. They pass along those costs to us in the price of our food. Pesticide drift causes both economic and health threats to farm workers and neighbors. Chemical residues are a problem for consumers. Moving past invasive plants, Zebra mussels cause millions of dollars of damage to power plant systems while reducing the electricity they can generate. 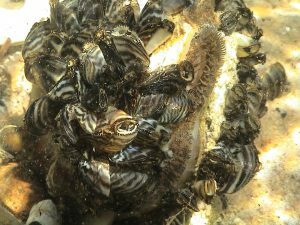 Those same invasive mollusks consume the available food for native insects and shell fish causing the base of the food chain to collapse. The lakes they invade turn into water deserts. Those who grew up in Wisconsin before 1975 will remember the curse of alewife. They are a small invasive fish whose populations exploded in the 1960s. Alewife consumed all the small fish and insects that form the bottom of the food chain. That effectively destroyed the commercial lake trout fishery in Lake Michigan. Fish biologists fought over how to control them and settled on introducing Coho salmon to the great lakes. While coho reduced the alewife and created a new game fishery, native lake trout stocks have not recovered as hoped. Emerald ash borer (EAB) is an invasive beetle that is destroying Wisconsin’s green ash trees. Homeowners, public works departments and park managers planted millions of green ash trees over the past half century. That makes them one of the most popular trees on the urban Wisconsin landscape. Whole neighborhoods to lost their terrace trees to EAB. Many parks have gaping holes in their shade canopies. The emerald ash borer is also wiping out the native black ash, which Native American tribes in Wisconsin call basket wood. Ho Chunk woven wood baskets are purchased by collectors around the world. The loss of black ash means an important cultural and economic resource disappears from the state. Invasive species are nothing new. Farmers introduced sheep to northern Wisconsin during World War II. Sheep brought with them a liver fluke that nearly wiped out the white tailed deer population in those counties. Dutch elm disease swept through Wisconsin in the 1960s doing away with a large percentage of our native elm trees. Recently, the pest has returned to attack many of those trees it missed the first time, as well as their offspring. As long as people get on planes and ships, moving around the world and bringing living stuff with them, the threat for bad things happening will be there. Sometimes invaders are introduced on purpose because the they pose is not understood. Other times pest species sneak in as weed seed in grain, or insect eggs in pallets. There is a way to stop them from becoming a serious problem. The key is early detection and eradication. In 1998, Asian longhorn beetles were discovered on the north side of Chicago. This is a pest that kills maples and other trees in genus Acer. The black and white beetle spreads with amazing speed. The beetles were traced back to pallets that arrived from China that were delivered to a local hardware distributor. Local officials jumped into action and in what was seen by some as over reaction, cut down 1,500 in northeastern Illinois. This quick response stopped the invasion in its tracks, so that by 2003 there were no new infestations. You can help. Check out the Wisconsin DNR invasive species website and learn how you can identify them. 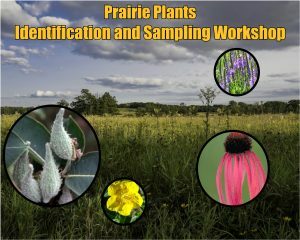 Report suspicious plants or pests to the DNR using their reporting website. Citizen science is becoming popular in the state. 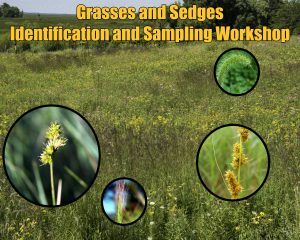 The Wisconsin Early Detection Network is a program of the UW Extension Weed Science program. It encourages landowners to actively get involved in locating and reporting new invaders. 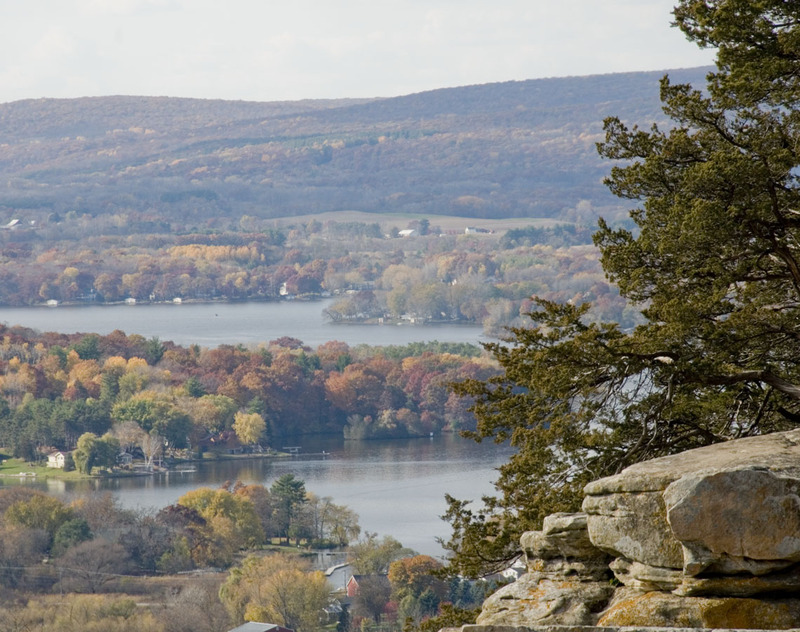 The DNR will eradicate prohibited species preventing major problems.